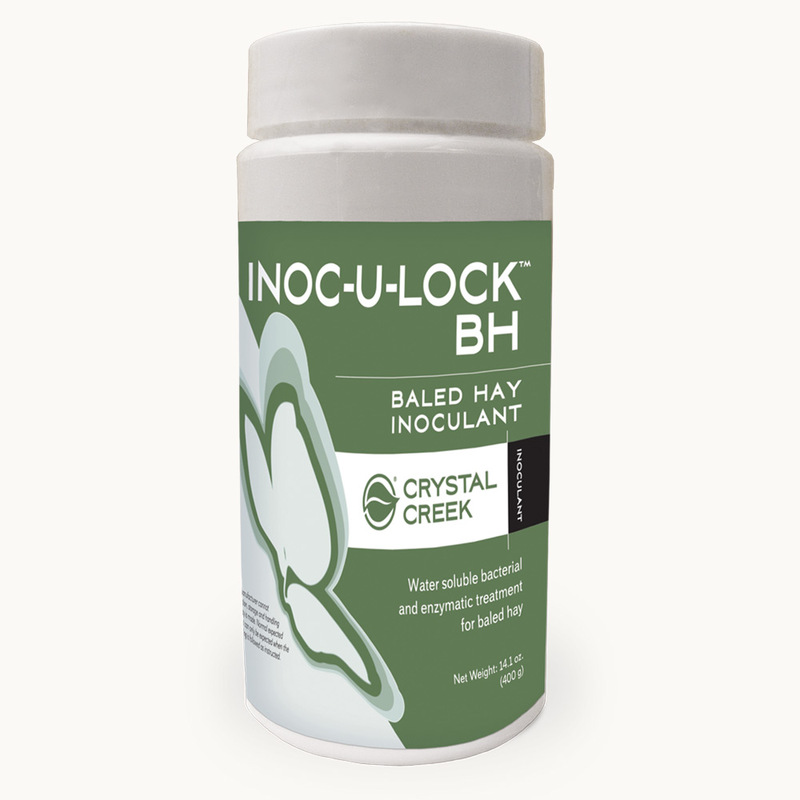 INOC-U-LOCK™ BH is a water soluble inoculant designed specifically for use on baled hay. Using a conventional fermentation inoculant on baled hay may not give optimum performance. There are several unique features needed for an inoculant to perform well on baled hay and INOC-U-LOCK™ BH has been designed to meet those challenges. 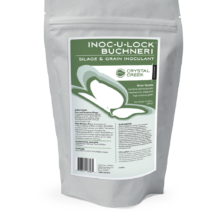 DISCLAIMER: INOC-U-LOCK™ BH is not a preservative, nor a mold inhibitor. Because the manufacturer cannot control the condition of application, storage, and handling practices, no expressed warranty is made. 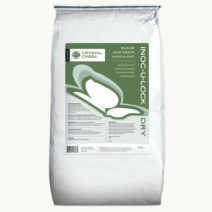 Normal expected results from using this inoculant can only be expected when the application, storage and handling is followed as instructed. Total bacteria, not less than 9.54 billion CFU/gram. For best results bale hay at 18% moisture or less. When applying INOC-U-LOCK™ BH to a crop, the amount of water used for application can vary. Apply according to applicator directions. Storage: Store INOC-U-LOCK™ BH in dry, refrigerated storage. 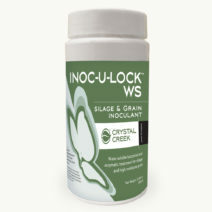 • INOC-U-LOCK ™ BH is not a mold inhibitor. Full dry down and proper storage of baled hay is necessary for preventing mold growth. INOC-U-LOCK™ BH is designed to stabilize the baled hay for a short period of time while it finishes drying down. • Baled Hay over 22% moisture is difficult to stabilize and should not be attempted. • Accurately measure moisture in baled hay regularly during the baling process and adjust INOC-U-LOCK™ BH application rate appropriately.